We know that students don't exactly have a lot of spare cash. That's why we want to help you get behind the wheel of a Chevrolet, Buick, GMC, or Cadillac with our Student Bonus program. 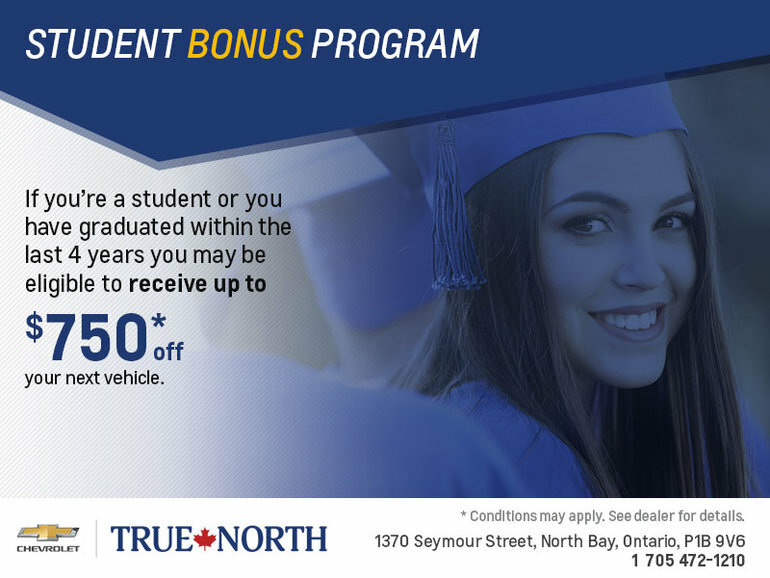 If you're a student or you have graduated within the last 4 years, you may be eligible to receive up to $750 off your next vehicle.